A new initiative for inclusive classrooms is making progress in Jordan, thanks in part to contributions from Biola faculty members. Dennis Eastman (’92, M.A. ’98), associate professor and director of secondary education at Biola’s School of Education, had the opportunity in August to go to Amman, Jordan, to advocate for educational access for all students, including those with learning differences. 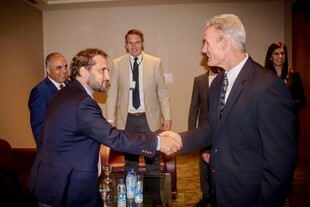 Eastman illustrated the importance of inclusive education while serving as the keynote speaker at a conference attended by teachers and Jordanian dignitaries, including Prince Mired bin Ra’ad and Minister of Education Asmi Mahafza. “You wouldn’t ask someone in a wheelchair to take the stairs,” said Eastman. “And you wouldn’t say, ‘If you really wanted to get up the stairs, get out of the chair and crawl up.’ Yet, this is what we’re asking many students to do. The goal of education is learning, so we need to build ramps for students with varied learning needs." At the conference, attendees participated in simulation exercises to experience what it might be like to learn while having ADHD or dyslexia. Eastman’s own journey in understanding the need for inclusive classrooms started with his family. Five of his six children have learning needs that are invisible to most, he shared. His eldest son, Micah Eastman, who has dyslexia, presented with his father in Jordan and offered a personal perspective on what it is like to have a disability and navigate one’s educational journey. Over the course of a week, Eastman presented 12 times and had three day-long trainings for teachers at Alliance Academy Jordan (AAJ) — an international school in Amman, with a mission to provide an excellent education in a loving, caring and inclusive environment. Eastman was originally invited to Jordan to speak specifically to teachers at AAJ after representatives heard him speak in Beirut, Lebanon, in 2016. Shortly after inviting Eastman to speak this year, Minister Mahafza identified AAJ as a model school in Jordan for inclusive classrooms, which transformed Eastman’s scheduled training into a national conference on special education. Biola’s School of Education has been involved in training and educating teachers on special education in the Middle East since 2011 through a partnership with the organization Special Kids with Individual Learning Differences in Lebanon (SKILD). As a joint venture with SKILD, School of Education Dean June Hetzel (’78, M.A. ’17) and associate professor and director of special education Robin LaBarbera (M.A. ’00), edited the book Inclusive Classrooms for Community Flourishing, for which multiple Biola professors wrote chapters. 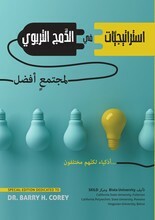 The book was recently translated into Arabic, published by SKILD and relaunched at the conference in Jordan. “It is our prayer that lives will be changed due to the increasing love and expertise shown by educators and communities as we increasingly include and serve children and families with special needs,” said Hetzel. Eastman looks forward to continued opportunities to advocate for inclusive classrooms in the Middle East and is excited for the progress being made in Jordan and the part he was able to play this summer. Learn more about Biola’s School of Education.